Apple has recently shown off features of the iPhone 5s which we anticipate to come out very soon, holding a price tag of $99 if you were to sign up with a contract. About six years after their first iPhone was ever released, iPhone has constantly been coming up with new ways to update their technology. Their main reason behind all these updates and new iPhone releases is to keep up with the competitors. With the iPhone 5s, Apple is actually targeting a younger generation. The latest iPhones will be available in a number of different colors. You also have two designs to choose from. For example, they will have a plastic iPhone design and another design has some of the greatest technology installed, being able to read your fingerprint. Even Western European markets are becoming saturated with Apple products. That’s just how fast Apple is growing. Although Apple has been slowly losing their market share, they still have new and exciting changes for the future as an attempt to keep up. Their main competitors today are Lenova and Xiaomi. Here is a list of features that the new iPhone 5s includes below. With a bigger sensor, pixels become larger. This gives you a much better picture than before. It’s just about as good as taking a regular camera with you. The iPhone 5s includes the brand new 8MP sensor with pixels going at 1.5 microns. It also has up to 33% of greater light sensitivity. What does this mean? You get more light out of the shot and without overdoing it. This is because they have integrated something called True Tone flash which is used to calculate how much light the shot really needs. In the end, you get brighter and lighter pictures. You’ll be able to get this lovely phone in different colors such as pink, blue, or yellow. This will appeal to young adults in their early 20’s and even teenagers who often beg for an iPhone as their birthday gift. Another exciting feature is the fingerprint identity technology which is highly sensitive when you place your finger on the smartphone to have it scanned. Family members who know your password can’t even get in nor will your prying boyfriend. Once you press the “Home” button, you will be prompted to use the fingerprint sensor in order to view anything on your phone. 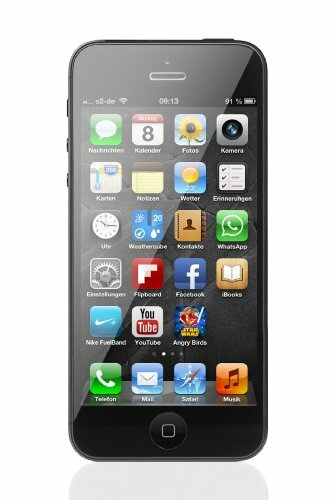 This iPhone 5s is extremely light, at 112 grams and measuring 7.6 millimeters thin. Apple knows that there is no need to make the iPhone 5s bigger. Most of their consumers are younger and therefore have smaller hands. You’ll notice a huge difference when comparing this smartphone to your older smartphones. Engineers had created a brand new mobile chip and this time, they created it without effecting the battery life. With the brand new A7 and M7 chip, you could practically do anything you wanted. They’ve tested the smartphone side by side with previous versions and found it is twice as fast as the CPU and graphics within performance. The phone will be available for sale on Sept. 20 so be sure to hurry and wait in line early. You know how crazy it gets when a new version is released. We have a feeling this new iPhone holds the best features in history, aside from releasing their very first iPhone.